UPDATE 12/21/2012– Shortly after the leaked video made the rounds, an official Jump Festa trailer was released with an extra minute of content. Original story below. The leaked trailer has been removed. 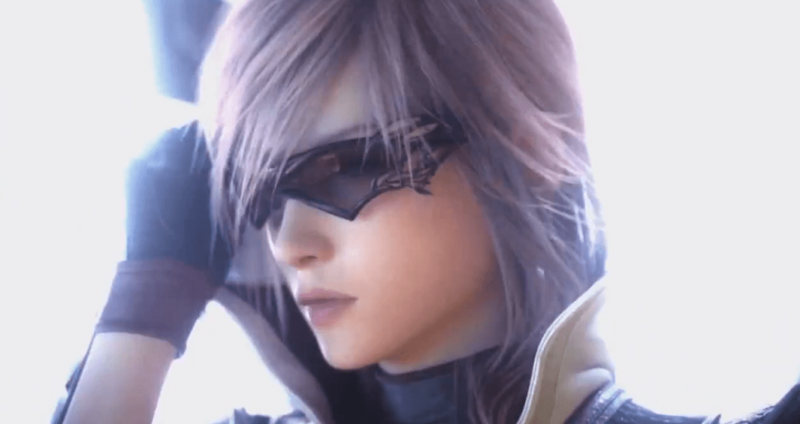 Recently, news of a video has emerged on this site for an official trailer for Square Enix’s upcoming sequel Lightning Returns: Final Fantasy XIII. The video has been uploaded by several different users on Youtube, so watch it before it gets pulled. There is a GameTrailers logo in the corner, so I’m assuming that it is supposed to be for an exclusive reveal. Well, not so exclusive anymore. In the video, the city is shown as Lightning walks around, and the battle system is also shown in a few parts of the clip. Also, those glasses. Honestly, it looks just like an extension of the previous games, even with the knowledge that we’ve been given about the more open world and tweaked battle system. What do you all think about the video? Are you excited for Lightning Returns and liked the footage shown, or are you among the large group of gamers who hated Final Fantasy XIII?